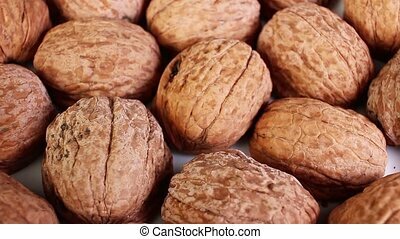 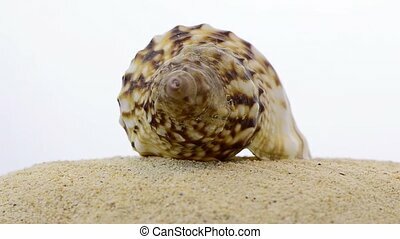 Rotating shell. 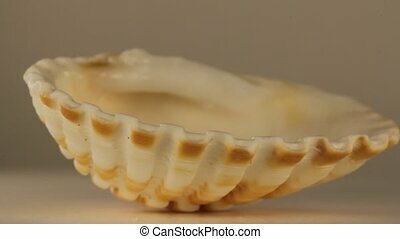 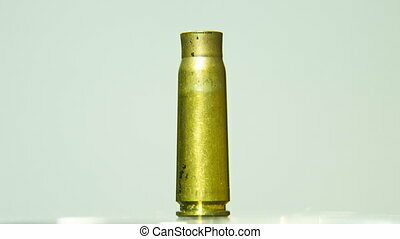 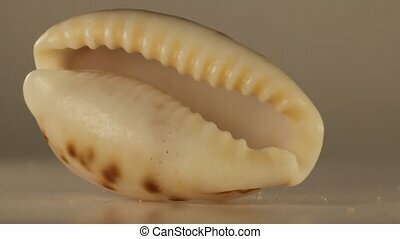 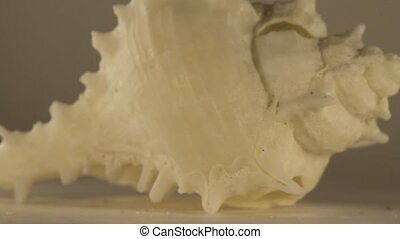 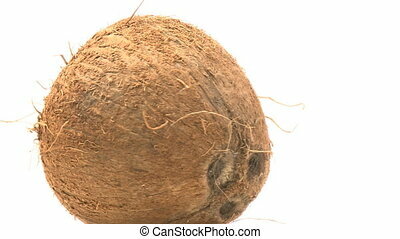 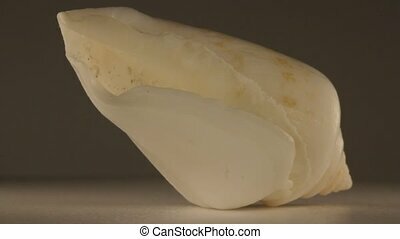 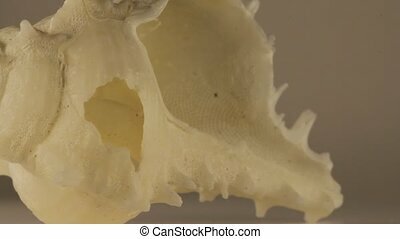 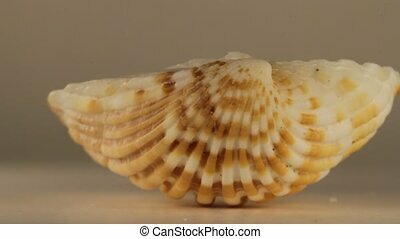 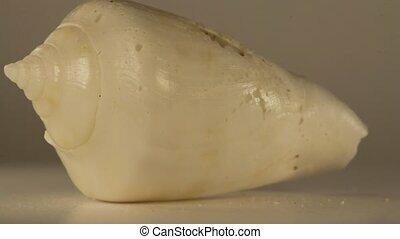 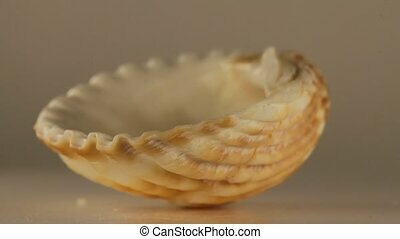 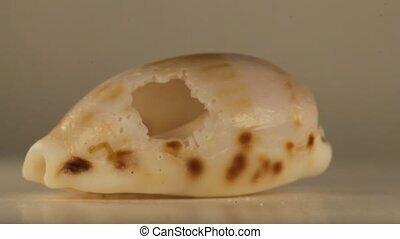 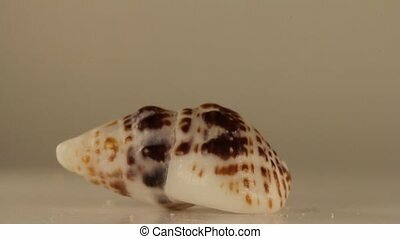 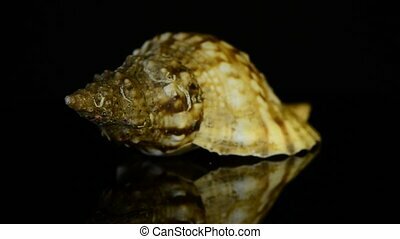 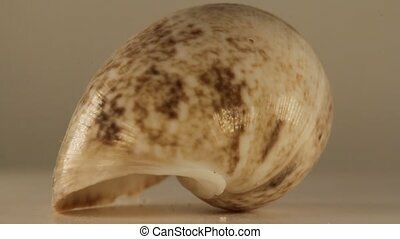 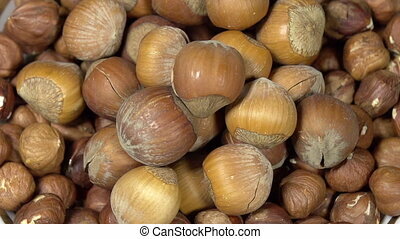 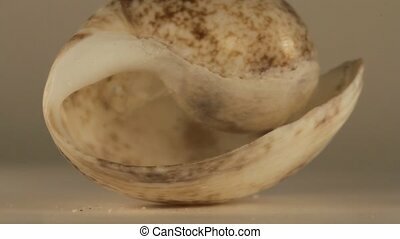 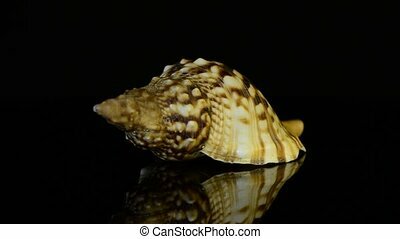 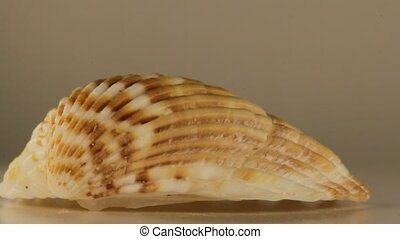 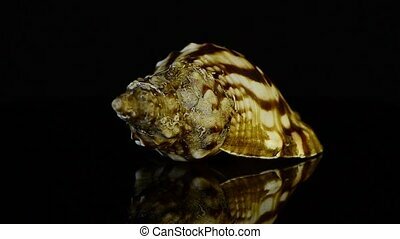 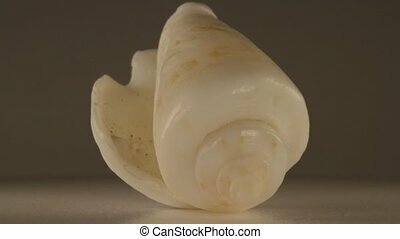 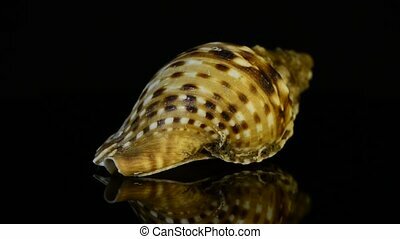 Macro view of rotating shell on white background. 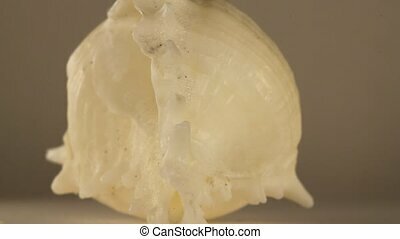 Closeup of rotating shell on black reflective background. 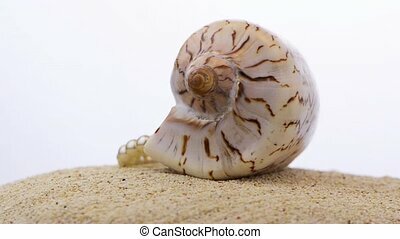 Closeup of rotating shell and beach sand isolated on white background.